Brings about knowledge that separation is an illusion and reunion will come. Aids in psychic contact with those who have died and brings messages from them. Heals confusion and creates forward progress on a life path, fosters achievement, manifests spiritual growth on the physical plane. It is generally formed hydrothermally in the hollows of other rocks. Although found worldwide, major concentrations found in the eastern US are what is generally available in todays marketplace. When used in jewelry, you may see it many times as a black and white or as an orange and white stripe pattern. It gets its name from basically being a composite of reddish brown Sard (Carnelian) and Onyx. 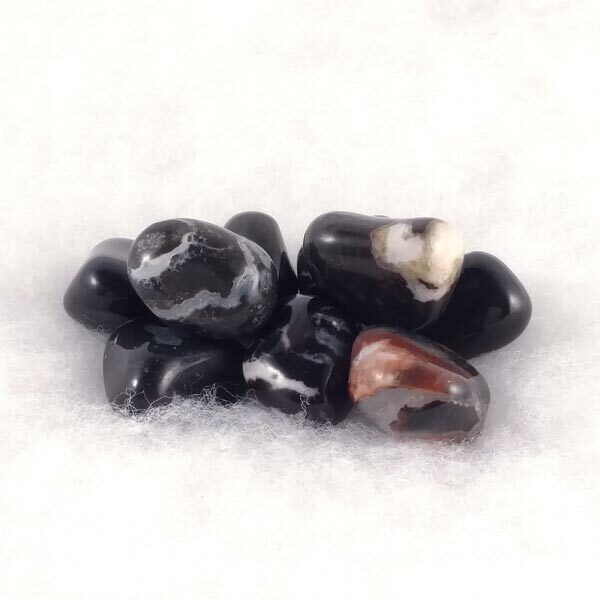 While it is another 'combination' gem, it has its own unique healing qualities, but also contains the benefits of its makeup gems of Onyx, Carnelian and Chalcedony in varying degrees. Sardonyx, like many stones, can be worn as a pendant or carried as a hand comforter. Physically it has its best effects when laid upon the stomach. Sardonyx stimulates our striving for a meaningful existence. It increases willpower and strengthens a virtuous character which in turn makes us more friendly and helpful. 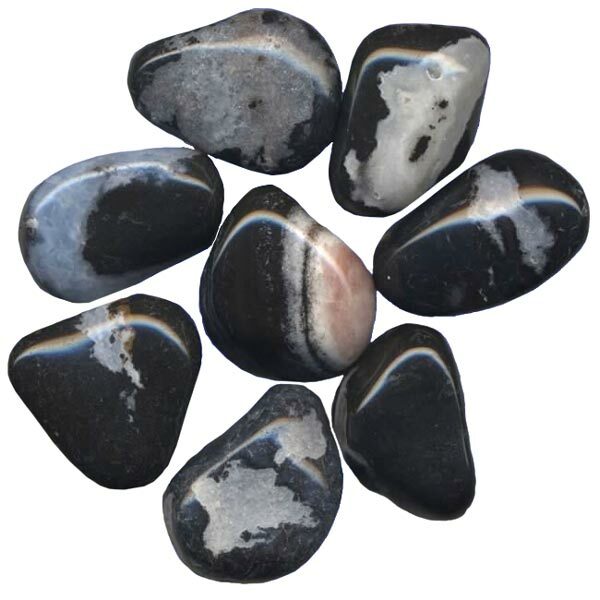 Sardonyx brings stability, confidence and a hopeful attitude. It can be an aid to overcome sadness and brings about inner joy that is contagious to others. Sardonyx helps in absorbing information which intensifies our perception of things around us. This brings about a greater understanding of things that happen around us on a daily basis. Sardonyx pumps up all of our sensory organs and improves the awareness of all our senses. It aids in regulating body fluids and our immune system,. It is very beneficial in encouraging activity of the intestines by stimulating absorption of nutrients and eliminating wastes. Sardonyx has special affinities for Aries and Leo. It has a Projective Energy, its Planet is Mars and its Element is Fire. Sardonyx has long been used in rituals and has been a stone used in the breast plates of high priests since antiquity. Primarily used in protection rituals, in ancient Rome, it would have been used with a figure of Hercules or Mars engraved upon it. For good luck, it would also be engraved with an eagle's head and set in silver or gold. In other areas it has been known as a stone of "virtue" for those who speak to the public as it is said to bring about clear, concise and truthful speaking.